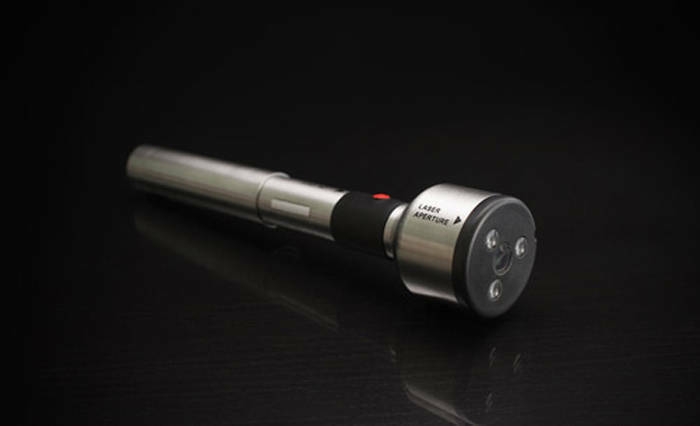 Low-Level Laser Therapy Technology uses the special ML830 laser to pinpoint pain and get rid of it fast. Dr. Ryan Whelton discusses this laser and its effectiveness. What is the ML830 laser and how does it work? LLLT is used for soft tissue trauma injuries. This type of injury consists of damage to the deep, sensitive layers of tissue beneath the epidermis, including muscular, neural, lymphatic, and vascular tissue. The human body normally reacts to this soft tissue trauma by splinting the injury with edema, a thin or watery fluid in tissue spaces. However, excess edema causes swelling that inhibits movement of the damaged tissue. These injuries result in two types of pain. The first is actual traumatic pain from the injury itself, and the second pain is from the swelling that results. LLLT focuses first on the lymphatic system which maintains the body’s fluid balance, while the laser light also helps absorb the excess edema. LLLT thus provides relief in two ways. What kinds of pain does it help treat? Arthritis, back pain, neck pain, migraines, TMJ, acute/chronic pain, sports injuries, diabetic/peripheral neuropathy, fibromyalgia, pain, numbness, tingling, rheumatoid arthritis, or ANY other inflammatory condition. How many treatments does it typically take to rid the pain? Effects of the treatment are usually felt immediately. However, the average person requires 7 treatments depending on the type and complexity of the condition. What other treatments (if any) should a patient try in addition to the laser treatments? Physical therapy, massage therapy, Acupuncture, [and/or] Auryvedic Nutrition. Why do you feel more patients haven’t heard about this treatment? Insurance companies do not cover laser therapy despite increasing protests from patients. Drug therapy for pain relief is a multi-billion dollar industry, and this particular laser is so effective it threatens the drug company’s bottom line. What do your patients say about its efficacy and overall worth? 99% of my patients feel instant relief after a laser session, with no side effects. However, most of the human body’s healing occurs in REM sleep. The typical response I see after a treatment is disbelief. Patients cannot believe how good they feel without the use of drugs. Most patients say they would pay much more than $24-$39.50 to feel this good and heal 50-60% faster. What got you interested in using the laser? How long have you been using it? I was sitting at a conference 3 years ago after a bad car accident, and I was having severe back pain and burning down my legs into my feet. I noticed a vendor promoting this device in the corner of the room. I watched other PT’s go up and use it and say they felt better. In my mind I was thinking, “yeah right, ever heard of the placebo effect before?” By the second day I was about to leave the conference because I was in so much pain, so I decided to try it. I used it on my lower back and started to feel my feet again within minutes. I was sold! I was the first clinician in the Tampa, FL area to have this device.